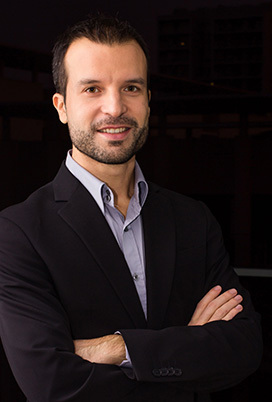 Giuseppe Talò, engineer, works as Research Fellow at the Cell and Tissue Engineering Lab, IRCCS Galeazzi Orthopaedic Institute (Milan - Italy) since 2008. In 2007 he graduated in Biomedical Engineering, with a thesis on the development of a dynamic bioreactor suitable to develop aortic valve constructs starting from decellularized human homografts in IRCCS Centro Cardiologico “Monzino”. He collaborated at the Politecnico of Milan - Department of Bioengineering (2007-2008).His main research activities are based on Tissue Engineering. Developing perfusion bioreactors equipped with pH and O2 sensors; biosensors for online monitoring permeability of 3D cultured tissue in bioreactors; bioreactors for the screening of the effects of complex biomechanical stimuli on engineered cartilage; works on vascularized bone tissue engineering; and rapid prototyping and 3d printing. Bioreactors for regenerative medicine products manufacturing, Biosensors.